An enterprise data model is a very powerful communication tool for creating complex models using simple conventions that can be easily explained. This technique is independent of the mechanisms used to hold that information, such as paper forms or computers. As long as the business does not change, the model will remain accurate. Renée Taylor Consulting recommends enterprise data modeling in order to plan strategic information system development, maximize data integration, and increase data integrity across an enterprise. We offer extensive enterprise data modeling consulting and support services, including data modeling training and workshops. We recommend that two important concepts to be considered when approaching data modeling: generic modeling and convergent modeling. 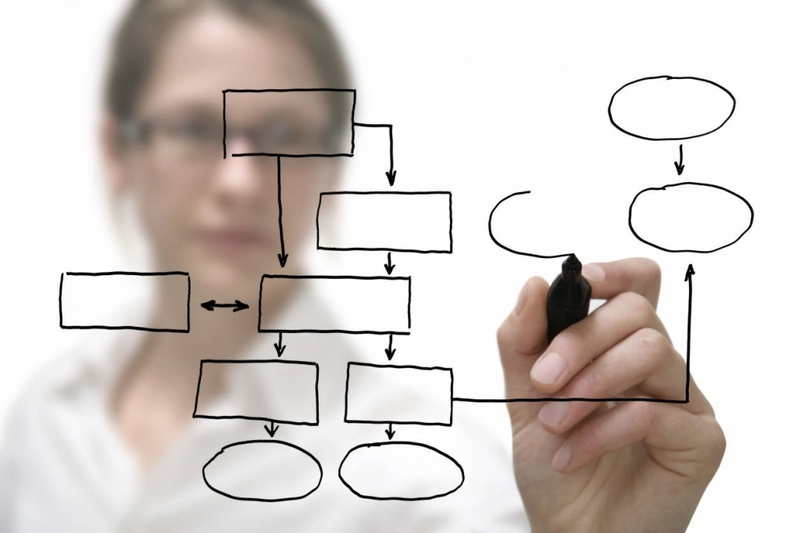 Data modeling can be performed in a passive way by modeling exactly what exists. A more active form of data modeling, commonly employed in mathematics and science, uses a generic model to predict something that was not previously known, or to provide for a circumstance that does not yet exist. Generic models are simpler and easier to understand than “mirror image” models, and they also answer more questions. The data modeler consistently looks for more simple and elegant solutions that will stand the test of time, are cheaper to implement and maintain, and that anticipate the changes that the organization will undergo. Generic models that have been successfully used by other organizations can be adopted as patterns. Such published patterns make useful starting-points or building blocks for a new data model. Many of our clients in the State of California have used our services to take advantage of generic model patterns in a number of areas such as human resources, cashiering, and demographics. Sometimes entities may at first appear to be different, yet with a closer look they are seen to have similar attributes and to behave in similar ways. For example, ORDER, REQUEST and PROPOSAL behave in very similar ways regarding fees, requirements and inventory needs. If the data model could combine these different entities into one entity or supertype, then the functions to manipulate these entities could also be combined. Such combination of entities is called convergent modeling. The result is a reduction in the number of entities and programs, which then translates into applications that are cheaper to develop and maintain. For large-scale projects, or enterprise data modeling, convergent modeling assists greatly in the integration and reusability of data. Learn more about DM Trainings, here. Developed an enterprise data management strategy for health information across the Department, and enterprise data models for provider management, member management, operations management, health care plan management, contractor management, business relationship management, and financial management. Developed a roadmap with implementation steps and timelines for improved data integrity and normalization across future systems. Managed project to analyze requirements and create an enterprise-wide model of integrated data requirements for a major alternative procurement effort involving the redesign of multiple systems (SWIM II). Facilitated management meetings, risk and issue resolution and quality assurance of deliverables. Provided training to staff in advanced data modeling techniques.